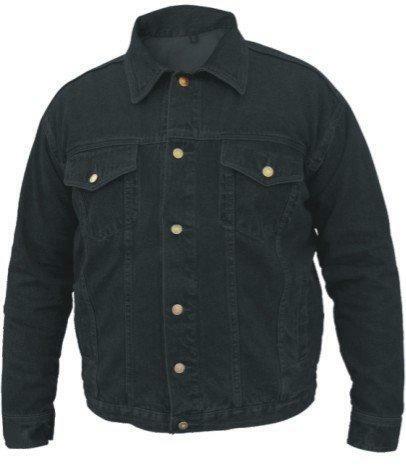 Traditinal style black denim jacket. Made of 100% cotton, 14.5 oz. denim fabric which is strong and strudy. Features metal buttoned flap breast pockets with 2 side pockets. Double stitched front with button front close and buttoned cuffs.